31 photos of the home of Britain's brilliantly successful attacks on German, Italian and Japanese radio messages encrypted using Enigma, Lorenz and other machines during the Second World War. Some of Britain's best brains were employed, and in the course of the war they developed the first computers. But they owed much to pioneering work by the Poles, and to the seizure of Enigma codebooks and machines by the Royal Navy, some of whose members died in the process. They were also indebted to the thousands of men and women who worked round the clock at Bletchley Park, and in the 'Y' stations where enemy messages were monitored, scrupulously recorded and sent by teleprinter or despatch rider to Bletchley. 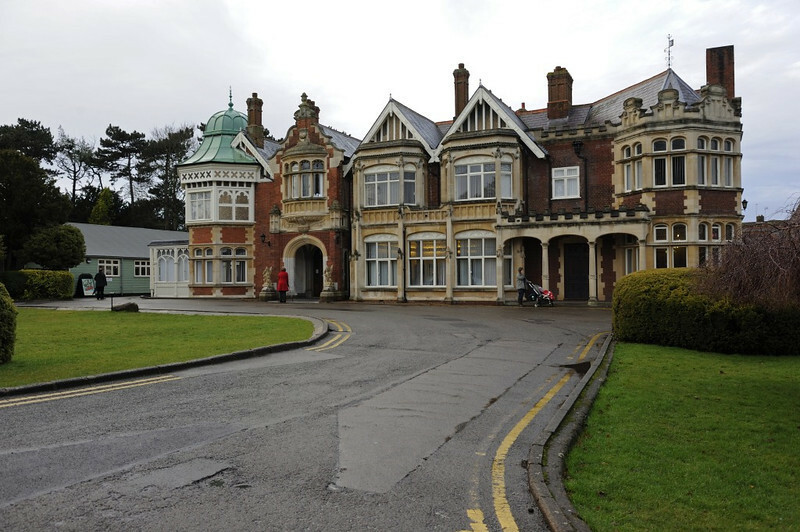 Bletchley Park became a huge operation, with over 7,000 staff. By the end of 1942 they were reading some 4,000 high grade German signals a day, and slightly fewer Italian and Japanese signals. It was not until 1974 that the work of Bletchley Park became public knowledge.